Roasting is what turns a coffee bean into a bean you can make coffee with. It’s not like barbecuing sausages or boiling an egg - it takes a long time to learn and a lifetime to perfect. The story doesn’t end with selecting the best quality beans from around the world. It’s all about the roasting. Well we roast coffee. It’s what we do. Every day. 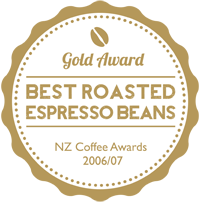 Since becoming established in 1995 we've always sold to cafés throughout Queenstown and Central Otago, companies whose reputations stand or fall on the quality of their coffee, with every cup they pour. We sell and deliver to individuals too, people who just love coffee that’s been roasted down the road by a person they can talk to, rather than in some big city far away by a stranger just doing a job. So it’s always fresh, and consistently delivers the taste they love. And we’re passionate about it. We have to be. See, we’re a small family company with small premises. We’re in the coffee business to make a living. But we simply don’t have enough space, equipment or people to become millionaires. Realistically, we never will. And that doesn’t bother us in the slightest. The best thing we can achieve is a reputation we can be really proud of. Which means we have to produce the finest, freshest coffee available anywhere in our neck of the woods. 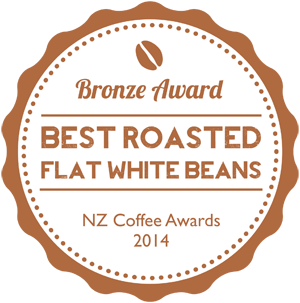 And although we’re Kiwis (so we hate to sound like we’re showing off), we’re pretty proud to say we do just that.